Quality Walls of Boulder, Inc. is locally owned and operated for over 20 years by Bob Rowan. Bob has been a plasterer for over 35 years. His craftsmanship has made him well known in Boulder County for all phases of plastering and stucco. If you are in need of any patch work, new construction or remodeling project both residential or commercial, you can count on Bob and his staff. 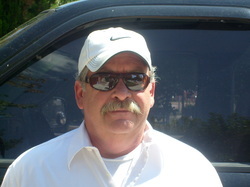 Bob and his staff strive for outstanding customer satisfaction on each and every project. Contact us now for a FREE QUOTE !